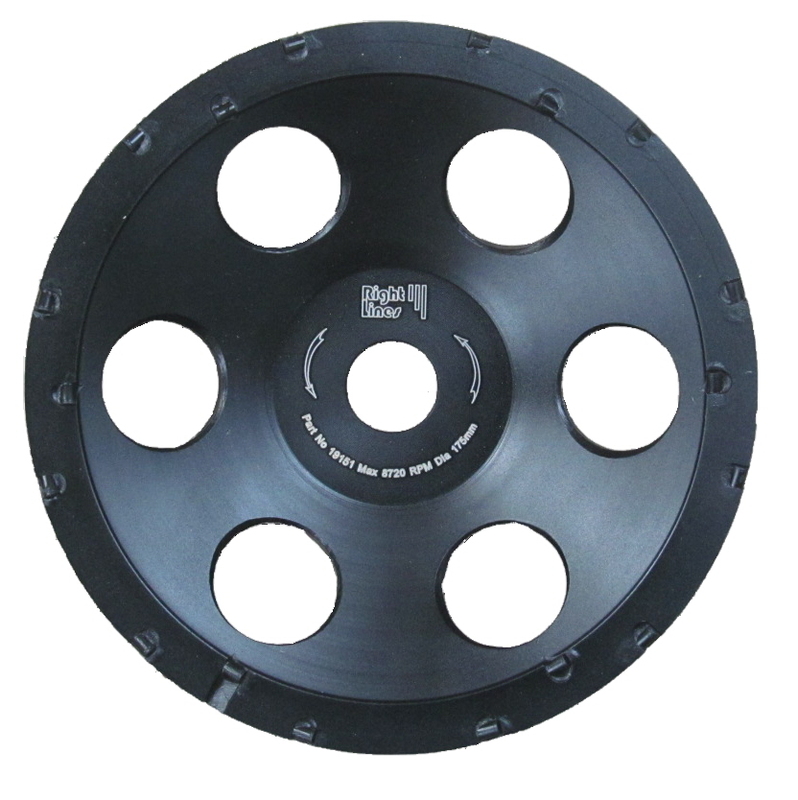 Applications: These discs are for use on angle grinders and are for extremely coarse sanding and grinding. 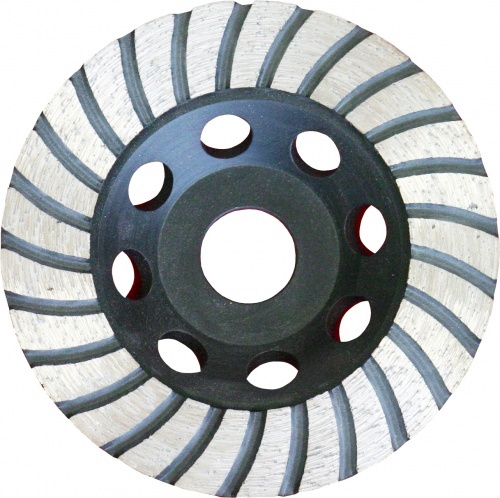 They will work effectively on concrete, masonry and brick, making them suitable for heavy duty paint scouring, removal of concrete flashing as well as shaping and sanding. 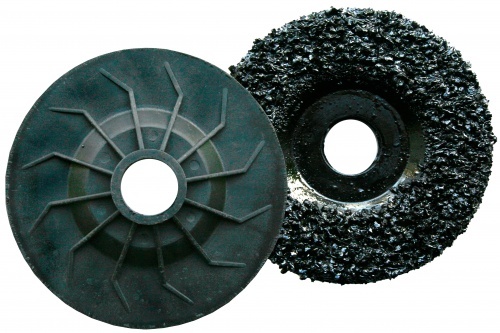 They can also be effective on removing bitumen, floor adhesives, epoxy, thick coats of paint and other coatings. They are far cheaper than diamond alternatives thus providing an economic solution to concrete floor stripping. Choose ultra-coarse grade 8 for shifting thick coatings and extra-coarse grade 16 for more controlled sanding. Extremely coarse grains (lumps) of silicon carbide abrasive. Fibre composite base, no backing pad required. Grades available are 16 and 8 (very approx 16 and 8 grains per inch respectively). Finned turbo shaped ribs aid cooling. Sizes 115mm and 180mm available. 180mm size is recommended for both 7in and 9in grinders. 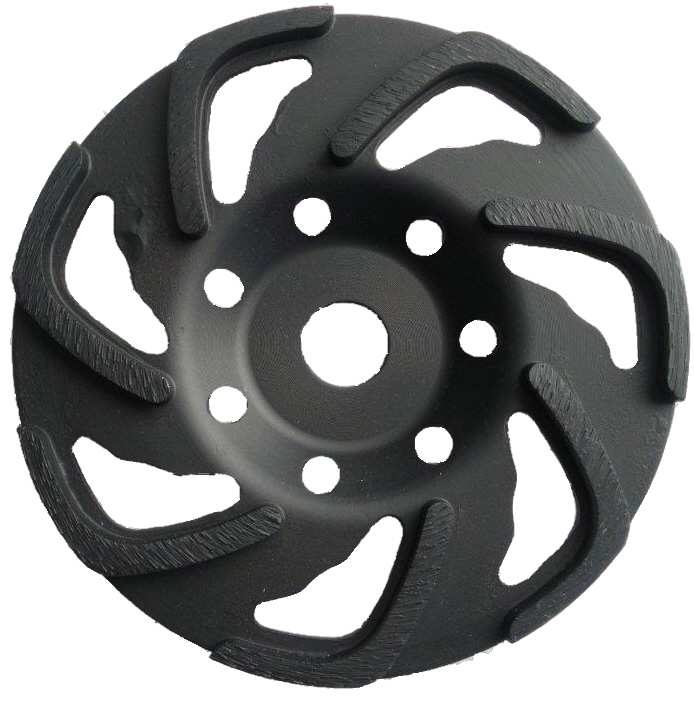 Also Available: For larger floor stripping jobs we would recommend PCD discs for speed and finish. 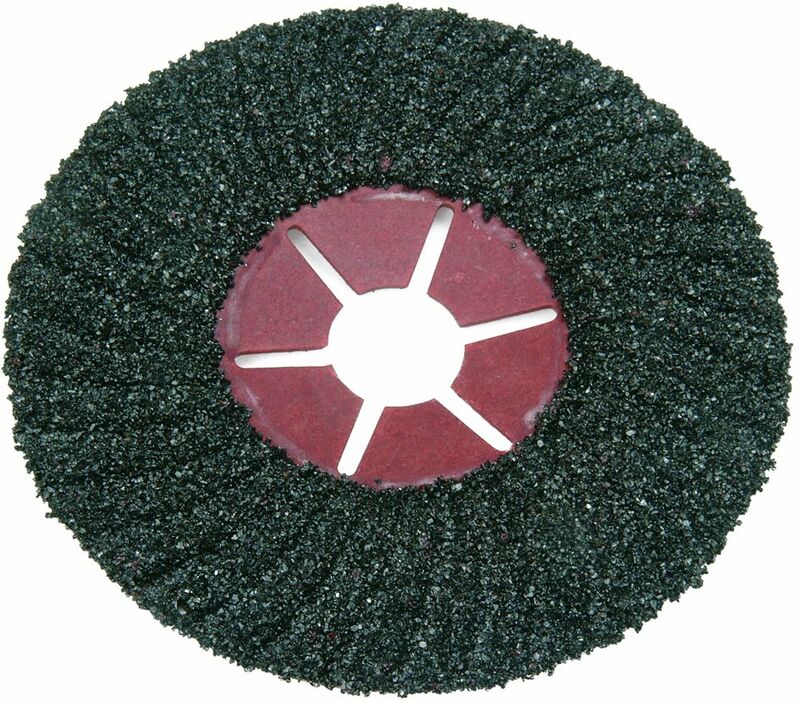 For smoothing and polishing concrete floors see the range of Halo Concrete Polishing Discs.